As I mentioned in my fall book recommendations post, I’ve been rereading (read: reliving every childhood memory and fantasy related to) the Harry Potter series this season. All the time I’ve spent with the books this year has reminded me why I love one character in particular: Hermione Granger. I think I can speak for most of us when I say that we all wanted to be Hermione growing up. She is unafraid to be the smartest witch in the room and takes pride in herself and her abilities even when she is teased. She also faces prejudice with grace and, as a role model, showed me that intelligence and bravery are strength. So I’m combining two of my greatest loves, books and ranting about how fantastic Hermione is, into one. Today I’m recommending books that I think Hermione would love. And Then There Were None by Agatha Christie | What’s better than a classic Muggle mystery? Hermione’s powers of logic and deduction, in addition to her penchant for overly passionate research, would make her the perfect reader for this chilling whodunnit. 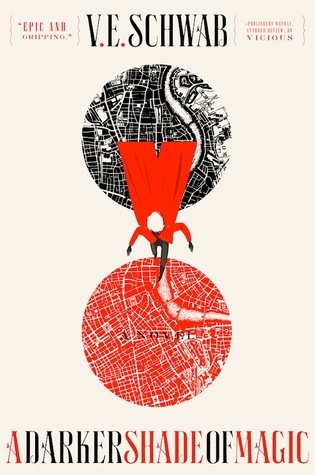 A Darker Shade of Magic by V. E. Schwab | There’s nothing Hermione loves more than a good magical study, and I think she would be intrigued by this fantasy novel. I imagine she’d love studying the unique magic system in this book (and would certainly not be shy about any improbabilities). The Disappearances by Emily Bain Murphy | Speaking of magic systems for Hermione to critique, The Disappearances features a town where something seemingly intangible, like sense of smell or reflections, vanishes without explanation every seven years. This charming young adult novel is perfect for a snuggly evening in the common room after a long visit to Hogsmeade. The Gentleman’s Guide to Vice and Virtue by Mackenzi Lee | Hermione may be a scholar, but she’s also a girl, and if we’ve learned anything from her spats with Ron, it’s that she appreciates a bit of romance. That’s why this book is perfect for her: this slightly raunchy adventure is filled with Muggle history to investigate, academia to explore, and a gooey romance to enjoy. 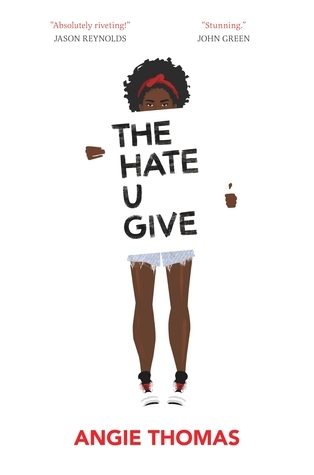 The Hate U Give by Angie Thomas | Hermione is also an activist, as we can see from her efforts with S.P.E.W. as she fought to equalize wages and treatment for house-elves. That’s why I think Hermione would enjoy reading about and educating herself on police brutality and the Black Lives Matter movement. What books would you recommend to Hermione? What other characters should I make reading lists for? This was fun. I think she’d like ADSOM too! oh how cool, i love this! i don’t think i’ve actually read any of these, thanks for the recommendations! You also made me very curious about The Disappearances, it sounds really great and the magic system is something that I'd probably enjoy reading about! This is a great idea. I firmly believe she would approve. I need to do some research on these books and see if they’re a fit for me.